The Festival of Britain in 1951 was heralded as a “beacon of change”. So, it is perfectly apt that Winlet glazing robots supplied by Hird Group are working on the site of the famous festival to create innovative living space fit for the 21st Century. 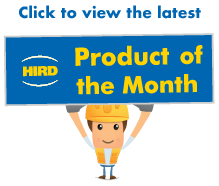 We have chosen the Winlet 785 glazing robot as our Product of the Month for May. The machine is amazing people who see it in action now, so goodness knows what people from 1951 would think. And on the theme of new technology in 1951. Here is a quick quiz. Which of these items were invented in that year? What impresses our customers most about the Winlet 785 glazing robot is its safety features and its productivity. In fact, they go hand-in-hand, as we will explain. The glass lifting and manipulating machine is being used alongside the Winlet 1000 glazing robot to install glass at Southbank Place, a new residential and office development next to the Shell Centre Tower, and a stone’s through from the London Eye on the River Thames. With the Festival of Britain, conceived as a celebration of British invention, arts, and culture, fading into history, the site is being reinvented as London transforms into a global city. 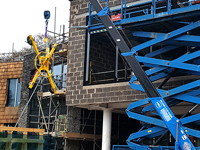 The Winlet 785 glazing robot is playing a key role, lifting into place the structural glass panels that provide residents with stunning views to the Houses of Parliament and other government buildings across the Thanes. The glazing robot can lift glass with a maximum weight of 785kg. Yet it is just 890mm wide, so can easily be loaded onto a construction lift, or guided through double doors, as well as operate in highly confined spaces. 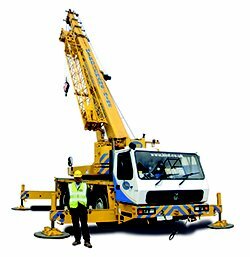 The load can be tilted and rotated through 180 degrees, and even be fitted directly overhead to a height of 3.9m. Advanced controls keep the glass sheet locked at the same angle while being moved through any horizontal and vertical plane, so glazing panels of any size can be placed with precision in an aperture with minimal or no manual handling. 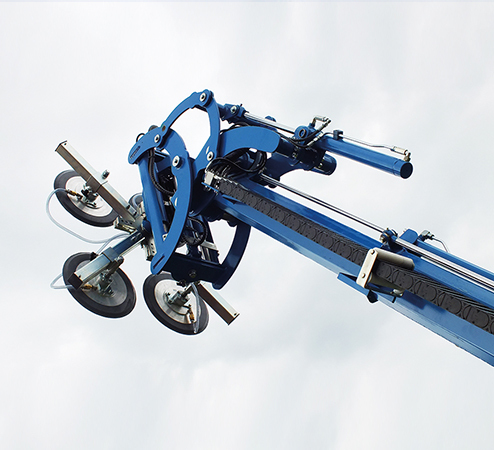 Compare that to other glazing robots and material lifts on the market. Many of them require teams of operatives to coax glass panels into place, risking personal injury, or damage to the glass and surrounding structures in the process. The high level of control that can be applied by the Winlet 785 glazing robot is key to its productivity. Our customers report that using Winlet glazing robots increases productivity by up to 100% compared to previous installation techniques. Also, as an electric-powered glass lifting machine, the Winlet 785 glazing robot is fume-free and energy efficient. This allows it to be used for glass installation both inside and outside buildings, and alongside operatives carrying out different tasks. Safe lifting features on the Winlet 785 glazing robot includes automatic valve shut off in the event of a sudden loss of power, which means the vacuum cups will continue to hold the load. Lifting is supported by intelligent load monitoring which protects both the operative and the load. All controls are placed in a simple-to-use multi-function control panel. The glazing robot can also be operated remotely via a cable control panel. The Winlet contributes further to safety and productivity by being able to pick up the load and carry it to the installation site, simplifying the glass installation process. It can also be fitted with two types of vacuum cups – one for glass, the other for more textured materials, including plasterboard, tiled panels, concrete, granite, and wooden sheets. The Winlet 785 glazing robot is just one of a range of Winlet glazing robots available for hire from Hird with capacities ranging from 350kg to 1 tonne. 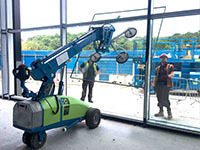 The Winlet 350 TH is a glazing robot that can be fitted to telehandlers for glass installations at greater heights. Find out more, and the answer to our invention quiz. 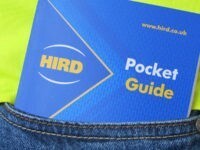 For more information on the Winlet glazing robot, call Hird today. Our glazing robot hire service is available across the UK, via our three regional operating centres. We also provide glazing robot operator training, so customers can get the most out of these amazing glass lifting machines. Or, we can provide a trained and experienced operative to carry out your lifting task. So, which of the three products named above was invented in 1951? Answer: all of them.